Scott Wissel is Advance Scout for the Sacramento Kings. Scott is responsible for scouting upcoming opponents. Working closely with the team’s coaching staff, Scott advises the coaches on opposing team’s offensive and defensive tendencies, play calls and personnel. His scouting reports are a vital tool for the coaching staff as they prepare a game plan for each opponent. Scott has 18 years of NBA experience. Prior to working with the Kings, Scott was Advance Scout for the Los Angeles Clippers. Scott has also worked as an Assistant Coach/Scout for the Detroit Pistons and Advance Scout for the Los Angeles Lakers, Milwaukee Bucks, and Memphis Grizzlies. Scott was an assistant coach for the Hartford Hellcats of the CBA in 1993-94. 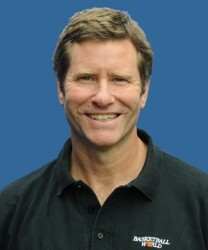 On the collegiate level, Scott served as an Assistant Coach for the University of Connecticut (1989-93), and Springfield College (1988-89). An outstanding teacher, Scott conducts Shoot It Better Mini Camps worldwide for Basketball World. Scott traveled to China in May, 2009 to evaluate and teach young Chinese basketball players as part of the NBA/Mengniu Milk Basketball Reality Challenge, a televison show which was broadcast to over 800 million Chinese citizens. In addition to China, Scott’s basketball related international travels have taken him to Russia, Germany, England, Austria, Switzerland, The Netherlands, France, Spain, Mexico, Dominican Republic, and Costa Rica. Scott has also conducted Shoot it Better Camps in Alaska and Hawaii.